When you sign in to Cortana on your Windows 10 PC, you can get Android or Windows 10 Mobile phone notifications on this PC. When turned on, Cortana will tell you on this PC when you miss a phone call, text message, or app notification. You'll also be able to respond to text messages from this PC. This tutorial will show you how to turn on or off getting Android or Windows 10 Mobile phone notifications from Cortana on your Windows 10 PC. This feature must also be enabled in settings in the Cortana app on your Android or Windows 10 Mobile phone. 1. 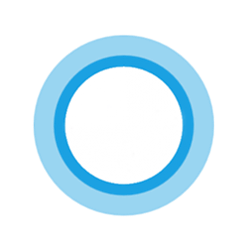 Open Settings, and click/tap on the Cortana icon. 2. Do step 3 (off) or step 4 (on/manage) below for what you want to do. If you have an iPhone or Android phone, you can click/tap on the Get Cortana mobile app for my phone link for how to download and install the app on your phone. So when you open Cortana there were tabs for weather, sports, news, etc. Well I deleted all of them except weather. I am trying to add them back but don't see where to add it. Anyone know how?